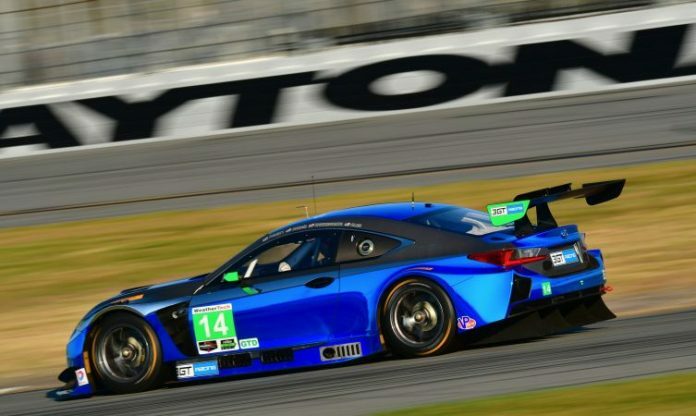 The new Lexus RC F GT3 made its official track debut at Daytona International Speedway this month, ahead of its participation in the opening round of the IMSA WeatherTech SportsCar Championship in January. 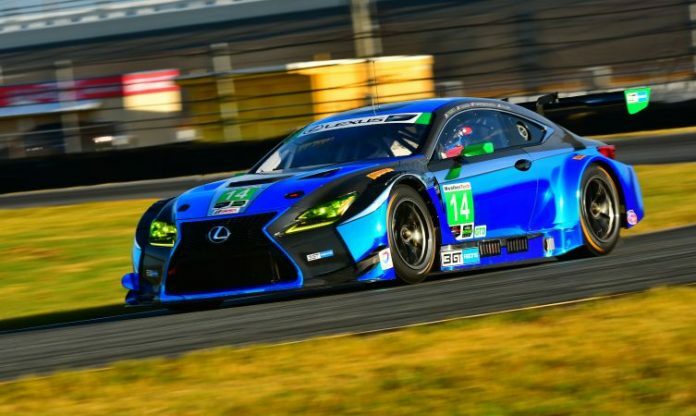 Entry into the Rolex 24 at Daytona on 26-29 January will end the Lexus’s seven-year absence from sports car racing in North America. It is a moment the manufacturer and all members of the 3GT Racing team are eagerly anticipating. 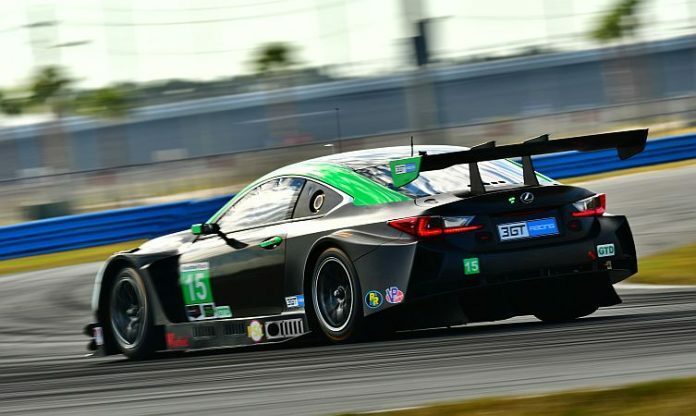 “It’s great to see the Lexus RC F GT3 back at Daytona,” said Mark Egger, motorsports manager for Lexus USA. “We’ve made progress and we’re still learning the race car, so this was a valuable opportunity for our team to see how the Lexus performs in advance of the Rolex 24. 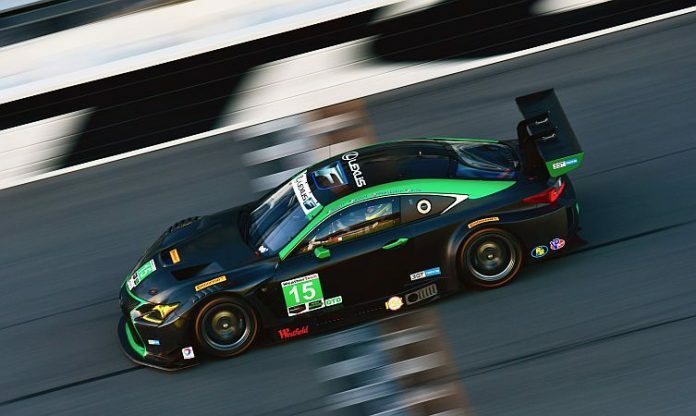 During the two-day tests, the 3GT Racing team used Daytona’s 3.56-mile road course to work on the performance and setup of the vehicle in preparation for the season ahead. Plus of more immediate importance, their competition debut in the longest endurance event on the IMSA calendar. 3GT Racing will field two Lexus RC F GT3 entries in the production-based GTD class for FIA GT3-spec cars. Sage Karam and Scott Pruett are lined up to drive car #14 (above), while Robert Alon and Jack Hawksworth will be in the #15 Lexus. “This has been a long time coming and I’m so excited to be back in Daytona,” said Pruett, veteran racer and winner of the Rolex 24 for Lexus in both 2007 and 2008. “I love this place – everything about it – and with Lexus and everything they’re doing. This is the start of everything. It’s a brand new programme for them. Everything we have to learn about the car is new. The 2017 IMSA season opens with the Rolex 24 at Daytona on Saturday 28 January at Daytona International Speedway. Prior to the season-opening event, the Lexus RC F GT3s will participate in the Roar Before the Rolex 24, the final IMSA-sanctioned test session before the season opener on 6-8 January at Daytona. LEXUS RC F GT3: DID YOU KNOW? 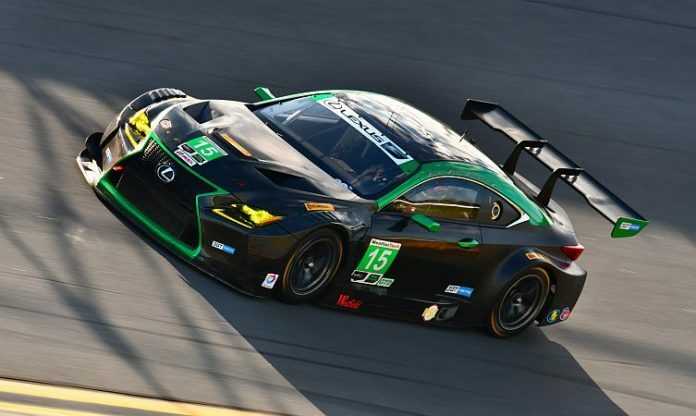 Lexus previously competed in the Grand-Am Road Racing’s Rolex Sports Car Series from 2004 to 2009. During that time Lexus claimed two driver’s championships (2004 and 2008), three overall victories in the Rolex 24 (2006, 2007 and 2008) and 25 race wins. The Lexus RC F GT3 is built by Toyota Technocraft in Yokohama, Japan, while the Michigan-based 3GT Racing team is assisted by engineers from Toyota Racing Development and Toyota Technocraft. Further engineering and marketing support is provided by Lexus International.